(Natural News) The more that is uncovered regarding the Obama-era “Spygate” scandal involving the 2016 Trump campaign, the more we are convinced that the actions of some of the Deep State figures involved rise to the level of sedition. In recent days, members of Congress obtained from the Justice Department another batch of emails between fired FBI counterintelligence official Peter Strzok and former FBI lawyer Lisa Page, his one-time paramour, indicating they plotted with the media to undermine POTUS Donald Trump and his administration. Newly released text messages and documents obtained by the House Oversight and Government Reform Committee reveal that senior members of the FBI and Department of Justice led a coordinated effort to leak unverified information to the press regarding alleged collusion with Russia to damage President Donald Trump’s administration, according to a letter sent by the committee to the DOJ Monday. 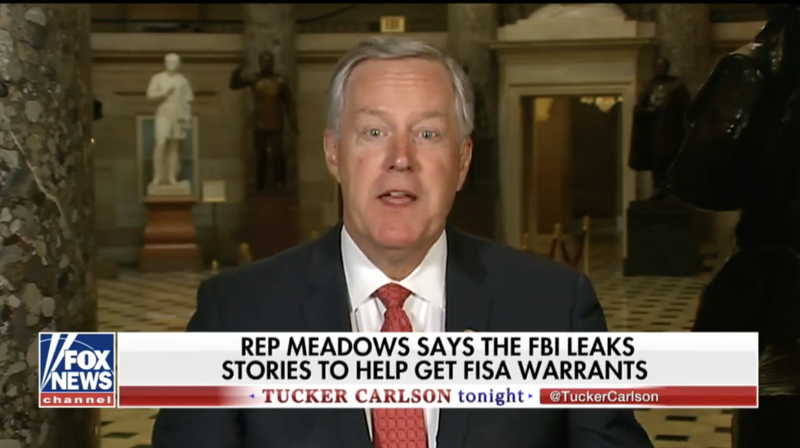 The letter was sent by Rep. Mark Meadows, R-N.C., chairman of the Oversight and Government Reform’s Committee’s subcommittee on Government Operations, to Deputy Attorney General Rod Rosenstein – who surely must be getting at least a little unsettled about all of this Spygate business because he has played a role in it. Meadows said those two texts are problematic in and of themselves but added that events denoting those interactions most definitely call into question their ability to effectively and in an unbiased manner serve justice faithfully. During the period of that text exchange, FBI and Justice Department officials were talking to reporters. It was also the same time that The Washington Post published a story about the Carter Page FISA court application (April 11, 2017), which touched off allegations of connections between the president and Russia. “Other documents indicate DOJ officials, specifically Andrew Weissman, participated in unauthorized conversations with the media during this same time period,” the letter says. There is additional evidence, Meadows noted, that senior FBI and Justice Department officials also talked to other news outlets in addition to the Post. Meadows then pointed out that during congressional testimony, both Page and Strzok were advised by FBI lawyers not to answer a number of questions, citing the U.S. Attorneys’ Manual policy for ongoing investigations. We believe that rises to the level of sedition. That’s the charge these two should be slapped with. But who’s going to do it? Read more about the Deep State’s scheming against President Trump at Trump.news.